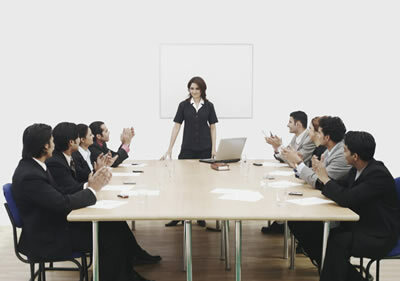 Executives and managers are an action-oriented group. That’s usually one of the characteristics that has made them successful. They see something that needs to be done and make sure it gets done. Unfortunately, when they’re working as a team, that drive for action makes the team do dumb things. The dumb thing they do is jump right into solving the problem — identifying courses of action, recommending solutions, pushing to make a deadline. But, wait, isn’t that what they’re supposed to do? Well, yes, but there is a better way to do it. You see by just jumping into solution-mode, the team often plunges into conflict because they never agreed on what the issue was they were trying to solve, never spent a few minutes setting up a process, and haven’t really vetted the reasonableness or effectiveness of a solution. Then, it’s well into the conflict before they realize that the reason for the conflict is that they are not all on the same page. Don’t get me wrong, I’m a big proponent of constructive conflict in teams. However, this type of conflict is an unnecessary time waster. The drive for action often makes people feel like they’re ‘wasting time’ by spending time making sure everyone is on the same page about what the issue is, have criteria for successful solutions, and have put at least a small amount of structure around how we’re going to drive to solution. Actually, the exact opposite is true. By doing some initial level-setting and planning early on, the likelihood that a team will come to the best solution and be able to implement it quickly is greatly increased. Stepping back to move forward leverages everyone’s best thinking. It makes the team smarter. Mindful Leadership What’s Your Talent Investment Plan?